We are still learning about Earth Science. 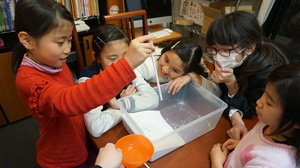 This week, we did an acitivity demonstrating erosion. We learned that weather of rocks gradually makes them erode and change shape. That is how sand is made. We studied how to use minerals in everyday life as well.